Hall, Charles J. Chronology of Western Classical Music. New York: Routledge/Taylor&Francis. 2002: 1154. ISBN 0-415-94217-9. Near, John Richard. 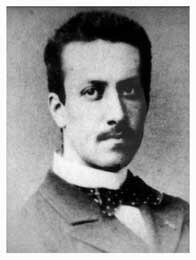 The Life and Work of Charles-Marie Widor. Boston University. 1985. OCLC:15132821. （德文） Oosten, Ben van. Charles-Marie Widor : Vater der Orgelsymphonie. Paderborn : Verlag Peter Ewers. 1997. ISBN 3-928243-04-7. Library of Congress Catalog. [2007-01-03]. （德文） Dreilaenderkatalog im Gateway Bayern. [2007-01-03]. （原始内容存档于2016-01-01）. Opera Composers site at Stanford. [2007-01-03].